In the south, a covered protected deck or porch in the south means being able to enjoy the spring and summer months without getting eaten alive by mosquitoes. With the right set-up, you might even find yourself preferring your outdoor living space to an air-conditioned interior. I’ve never been a mosquito magnet myself – I chalk it up to years of chasing after DEET trucks in Memphis as a kid. But my wife and daughter are both prone to becoming a buffet for the bloodsucking insects. What that means to me is that this is the year we will enclose the back deck and screen our front porch. Why outdoor living spaces this year? Well, according to the National Center for Atmospheric Research, the Asian tiger mosquito (Aedes aegypti, the one that carries and transmits the Zika virus) has a moderate to high chance of populating the Southeastern United States as the weather warms up. And although we currently have no plans for baby number two, there’s enough evidence out there to suggest that it’s better to be safe than sorry in this instance. 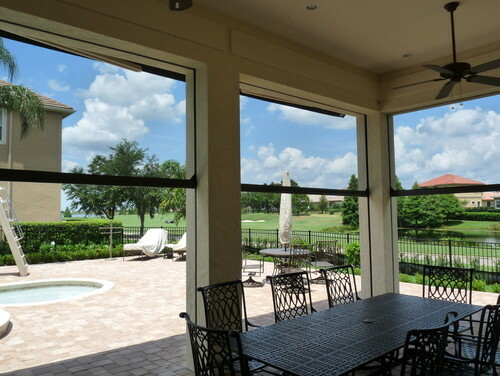 For my family, an outdoor living space would mean that when we come home and the sun’s still shining during spring and summer, we can go out on our very own patio and enjoy the outdoors together – without fear of bug bites or uncomfortable heat or humidity. We’ve wanted an outdoor living space since we feel in love with our friend Eric’s several years back. It was fully equipped with a refrigerator, grill, oven/fireplace combo with a stovetop, and (one of our favorite parts) a kegerator. He had tables and chairs and a fire pit with seating, and the whole space was covered with a roof and surrounded with screens. He cooked while he greeted guests and everyone had plenty of room to move around and get comfortable. Eric, like us, lives at the foot of the mountain, so the scenery was picturesque. It was one of the best parties we’ve ever been to, and we’ve talked about building our own outdoor living space ever since. In a word, YES. We’ve looked into cost and value for our own home, and as it turns out, the return on investment for an outdoor living addition is fantastic – MSN Real Estate suggests you can get as much ROI from an outdoor kitchen as an indoor kitchen remodel – or more. Dave Ramsey even recommends them as smart real estate value investments. 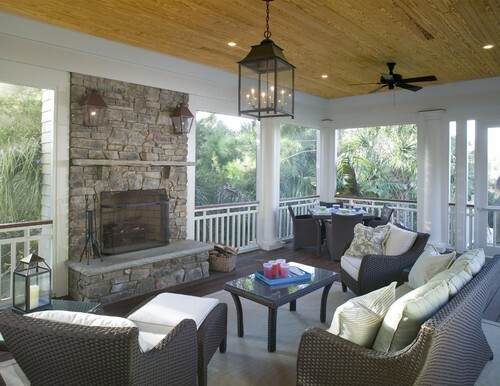 The trick to a valuable outdoor living space is to make sure it looks like it’s always been there, and fits the area. So make sure you design and execute carefully, keeping in mind the neighborhood’s look and feel, as well as its history. Hiring a builder who’s known for their ability to tie renovations and additions into the existing space is a smart first step. So, if you want to talk about how we can make your outdoor living space work for you this year – or even screen your front porch or back deck – contact us. We’re here to help. A final parting thought on preventing mosquitoes from taking over: PONDS. That’s how you can control them in the un-covered space of your yard, back or front, with mosquito-eating fish and plenty of appropriate plants to keep the algae down. Between a pond and a covered space, you might not even reach for the DEET this summer (and please, don’t chase the trucks).